What if your company couldn’t use its computers for a day? How about your phones? Any phone system outage, even if it’s a short one, could result in financial losses and inconvenience for your business. Can you afford this disruption? Most businesses can’t. Planning for any type of interruption in your telephone or data service should be a critical issue for any business. Unfortunately, however, most businesses only realize its importance after the fact – after an outage has occurred. Many adverse effects of interruption of service could be minimized or even eliminated with some advanced planning. Your business should be prepared for the following events: a power outage, network failure, phones system failure, a disaster affecting your workplace or a disaster affecting your region. During most previous disasters, the phones would still work. With the emergence of telecom systems that are powered by local electricity, without power, communications are shut down. Your customers can’t place orders and your business grinds to a halt. Restoring your telecom service then, is essential to restoring your business. Companies that have a telecom disaster plan are better prepared for any outage for whatever reason. In the past, disaster planning was usually expensive and cost prohibitive to most companies. With today’s technology, there are cost-effective options for even the smallest telecom budget. Your plan can be anything from a written plan on how to re-route your telecom services, to purchasing automatic routing arrangements with a carrier. The plan should define a procedure that will bring back your resources as fast as possible. It should also require redundancy in components and systems to provide continuous operation. When you are designing your disaster recovery plan, you first need to understand all of your services, the value they provide your company and what the impact would be if that service was gone for a period of time. You also need to look at which parts of your services might be likely to fail and how that failing will compromise your business and its connectivity. Redundancy plays a huge part in disaster planning. A common myth is that all you need to do is have a different circuit from a different vendor. This doesn’t guarantee redundancy. You have to ensure that you have two completely different circuits with absolutely no shared facilities and being fed by different central offices. * Take the time to consider what the worst-case scenario would be and plan for it. 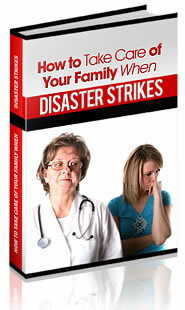 If you have prepared for the worst case, lesser emergencies will be taken care of as well. * Define everyone’s roles and responsibilities and make sure they know what they are responsible for. * Back up your data. Important daily output should be backed up and documented. Ideally, one back-up copy can be kept on site and another off-site. * Establish a plan for your communications and review these plans with all of your service providers. * Select an alternate IT location in advance. This may mean a different building, city or state, depending on the severity of the disaster for which you are planning. * Document your plan in writing and share it with your employees so they know the procedures you’re putting in place. Educate your employees to make sure everyone knows the procedures to follow during an emergency. Make sure all critical names and contact information are included in your document. * Review your plan quarterly and make sure contact information is always up to date. Specifically for telecom, here are some points to consider that will reduce the chance of telecom failure and give you a faster recovery from disasters. * Do you have an Uninterruptible Power Supply (UPS) in place? Is it adequate for your business and for a reasonable amount of time? * Do you have a current data backup of your PBX system? * Do you have back up lines if your T1 or PRI goes down? * Do you have redundant hardware (hard drives and power supplies) if they fail? * If your system fails, are your incoming calls automatically re-routed to another number? * Do you have all your data, documentation, licensing codes and passwords backed up and in a safe place? Disaster planning can end up being more valuable than any other IT project. Disaster recovery strategies are different for every company because every company has different priorities. It’s important to note that it’s never too late to start building and implementing your telecom disaster recovery plan. No one wants a disaster and no one wants to plan for it. However, a Disaster Recovery Plan will protect your business and prevent total loss during an emergency, whether big or small.